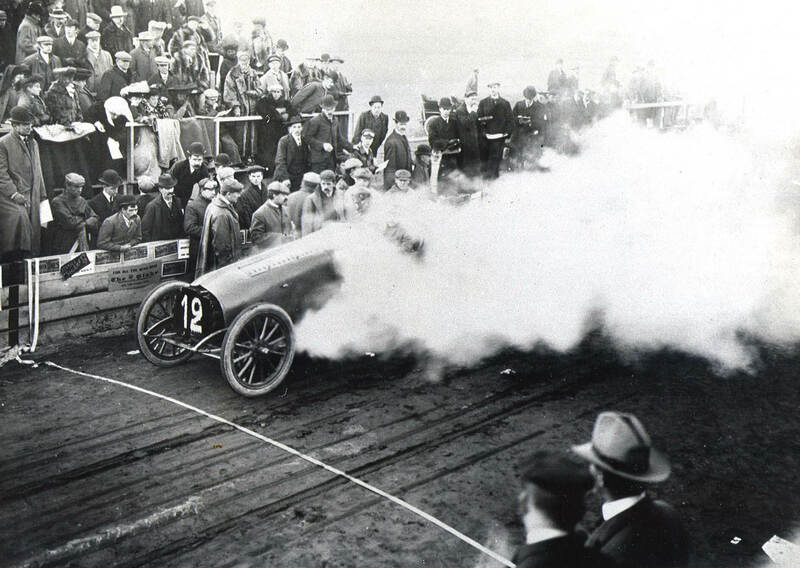 The 80-hp Clement-Bayard at the starting line. 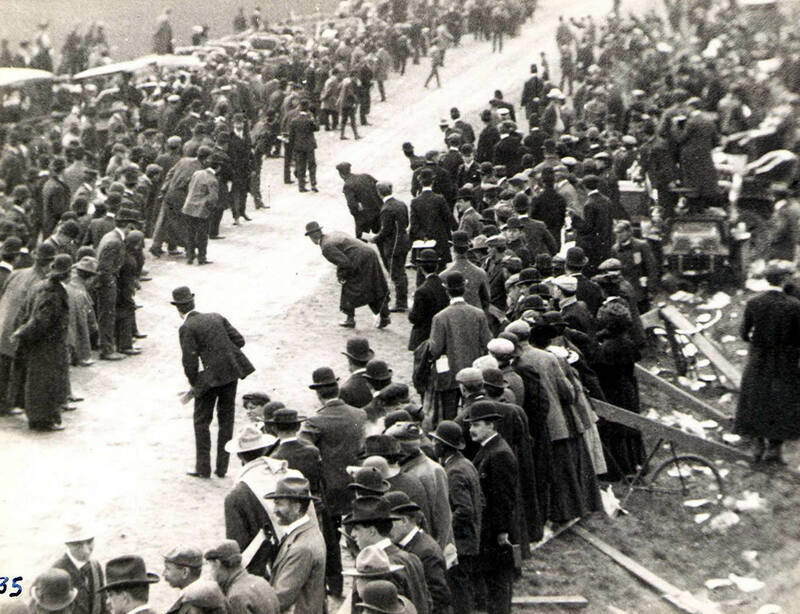 Restless spectators ventured dangerously out onto Jericho Turnpike near the Westbury grandstand. 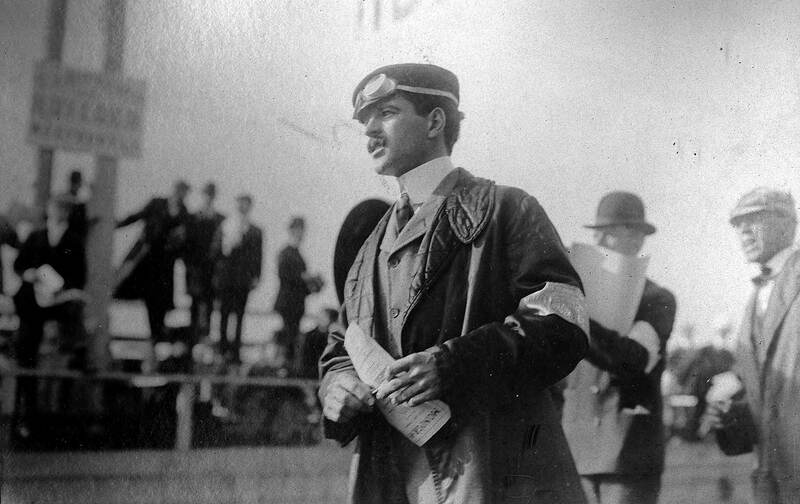 William K.Vanderbilt, Jr. acting as the race referee. 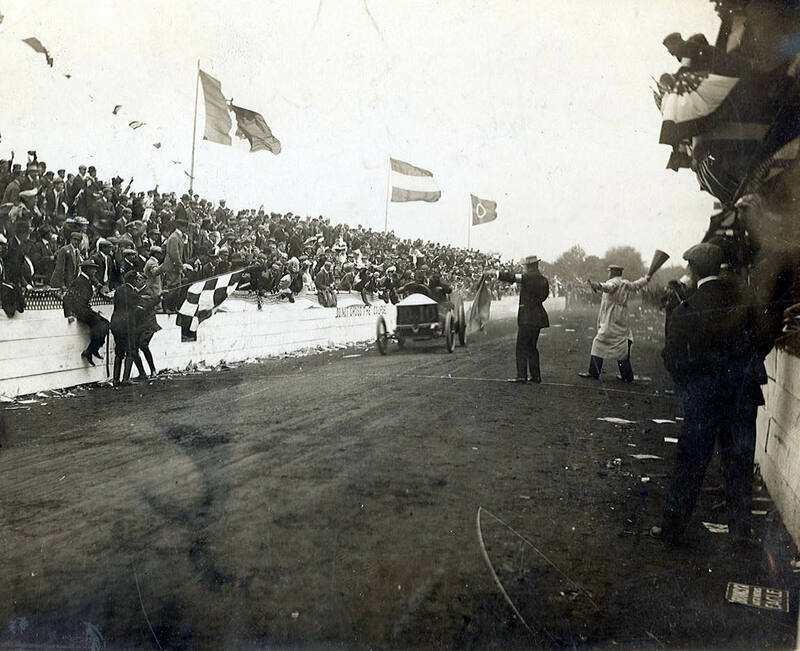 As Louis Wagner was about to win the 1906 race, starter Fred Wagner waved what is believed to be the first checkered flag used to signify the finish of an auto race. Standing on the railing above the flag, Willie K saluted the victor. 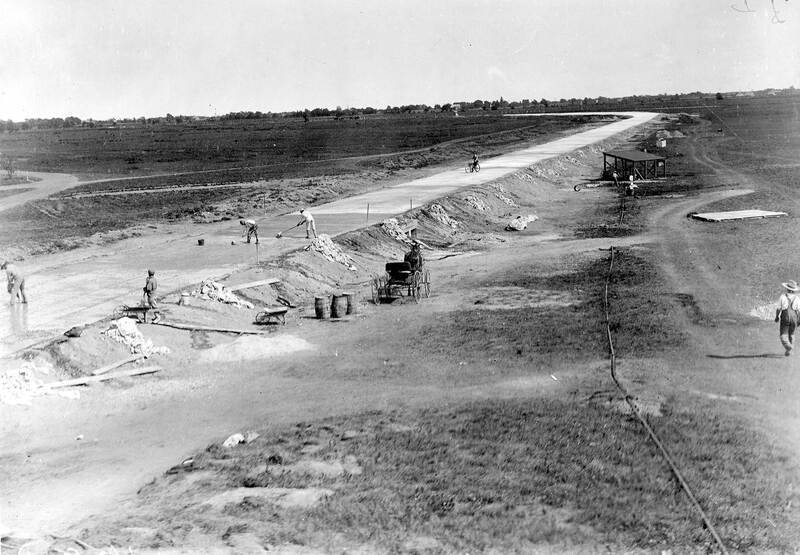 The Motor Parkway under construction in the Hempstead Plains (now Levittown). 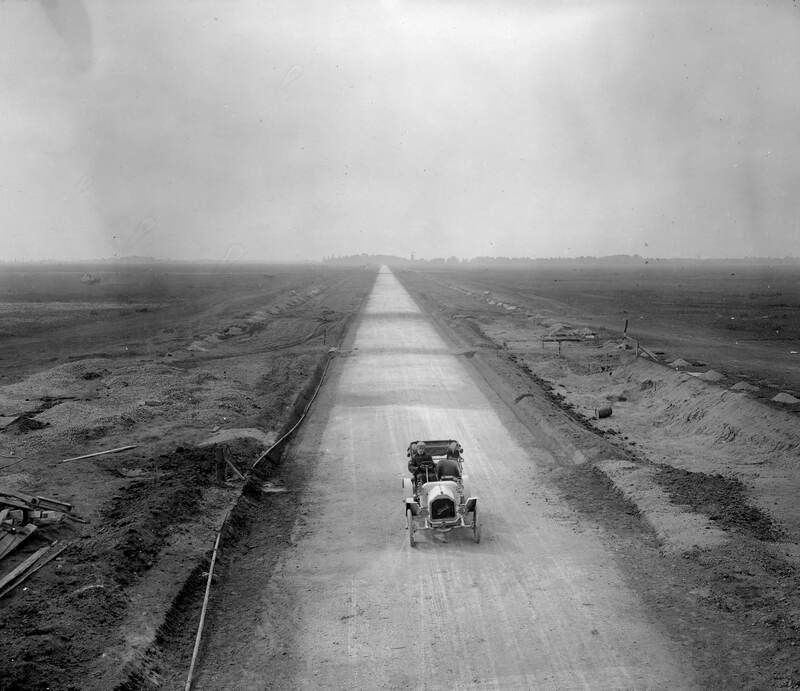 Three Packards on the Motor Parkway showing the width of the road and the banked curves. During the Sweepstakes races, Axel Peterson’s Rainier #M36 battled William Haupt’s Chadwick #P41 at “Deadman’s Curve” in Central Park, now Bethpage. A Long Island Railroad train can be seen in the background. 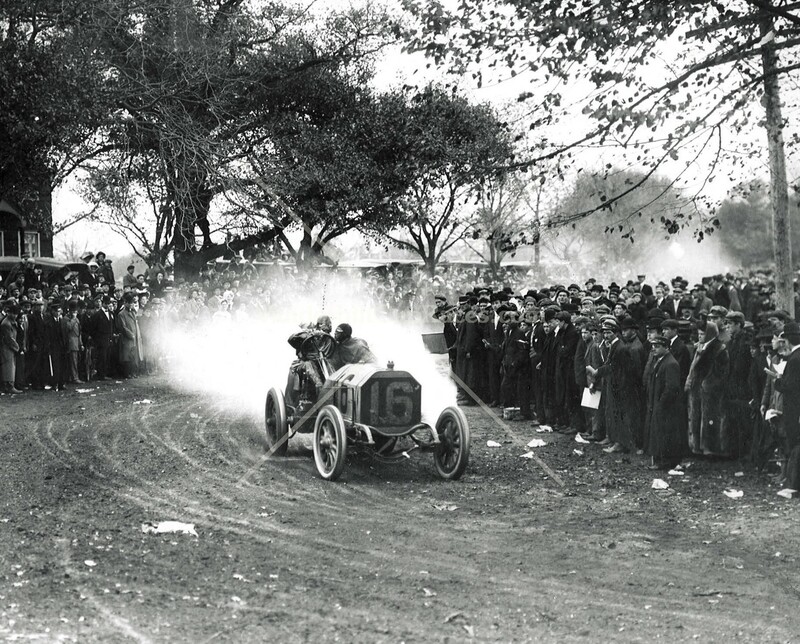 In a classic Vanderbilt Cup Race moment, George Robertson in the #16 Locomobile stormed through the Westbury Turn as hoards of people lined the course. 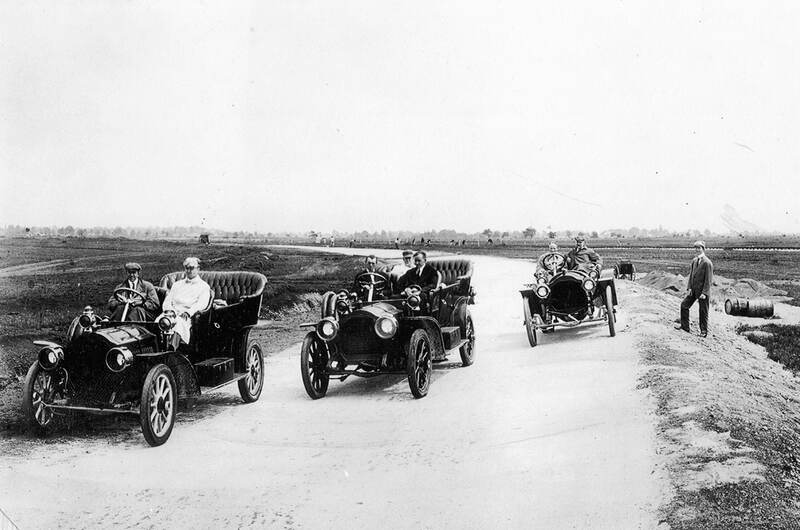 The Locomobile, the pride of Bridgeport, Connecticut, soared over the Long Island Railroad Bridge on Ellison Avenue in Westbury. 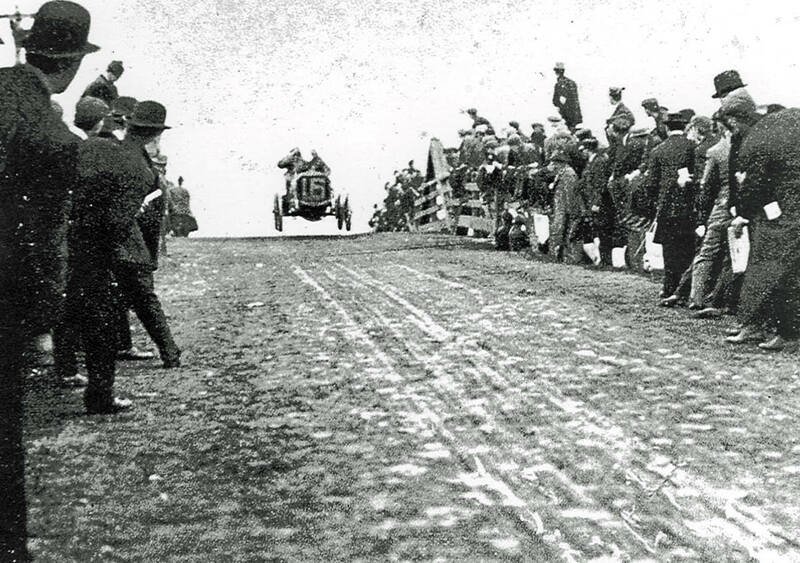 Driver George Robertson ran fast enough for the car’s wheels to clear the running surface as it crested the peak of the bridge. 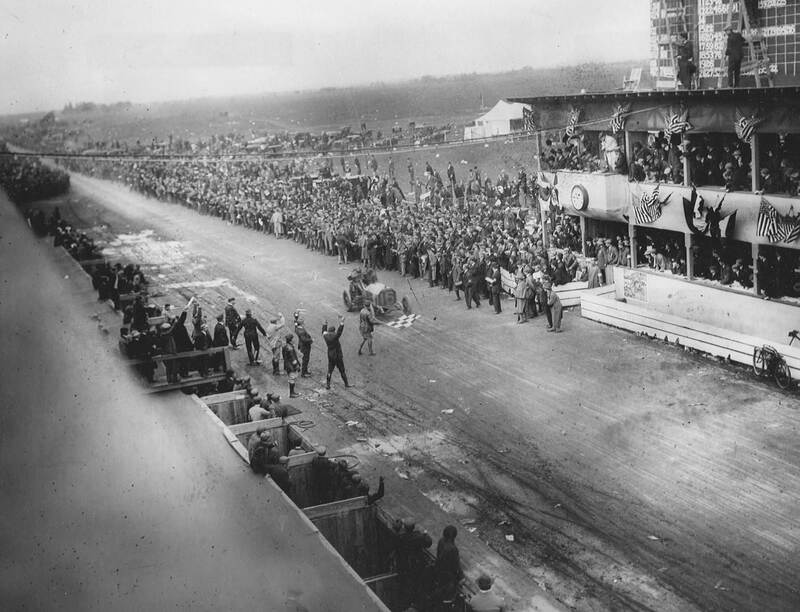 Brash and daring, 23-year-old George Robertson took the checkered flag from starter Fred Wagner before a huge crowd in the Hempstead Plains (now Levittown). Jefferson De Mont Thompson, Chairman of the Race Commission, was seen with his hands raised. Beside him to his left was the ever-vigilant referee, William K. Vanderbilt Jr. 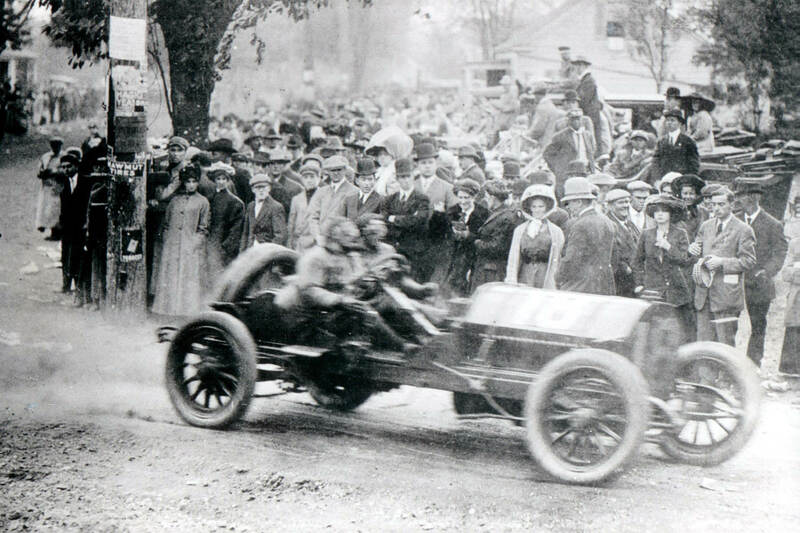 Widely regarded as one of the more dangerous turns, the Westbury Turn attracted a large throng of people, many unwisely lining the course and clearly in harm’s way. 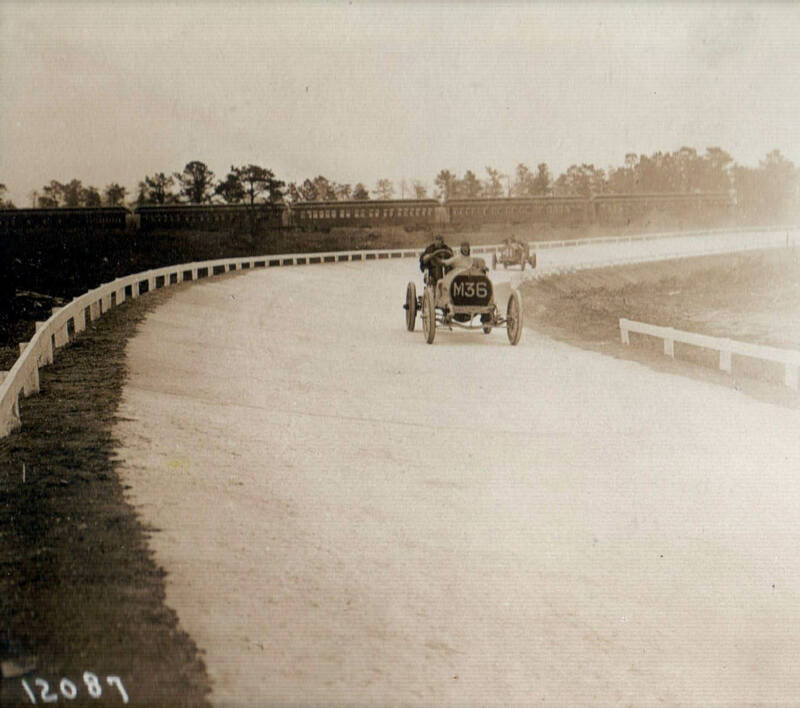 The turn was banked on its west side in an effort to assist cars from skidding off the course. Full-face hoods were worn by both ALCO driver Grant and his mechanician Frank Lee to protect them from dust and stones. Also note the fuel pump in Frank Lee's left hand. 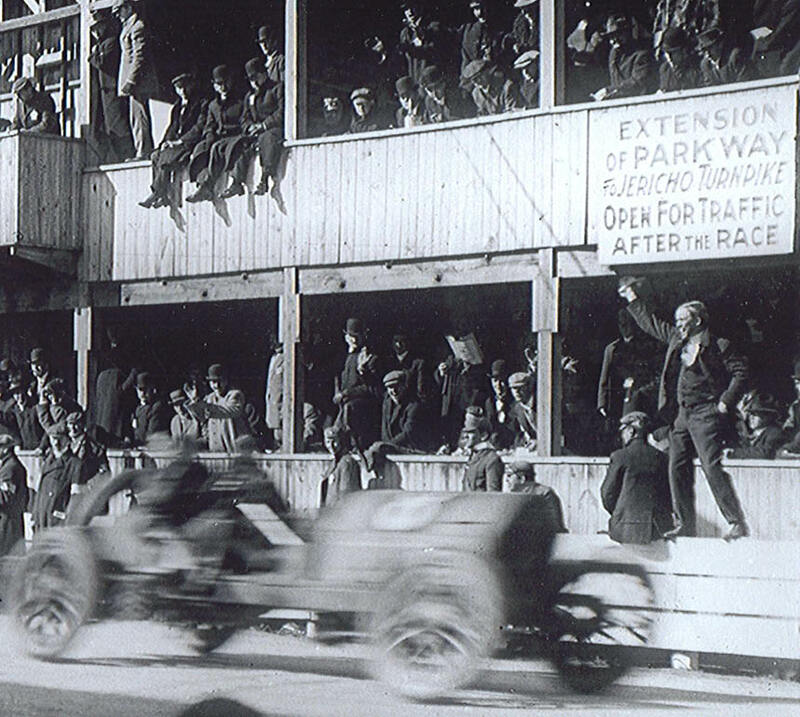 Pit crews and race officials cheered as Harry Grant’s Alco passed the finish line and won the 1909 Vanderbilt Cup. 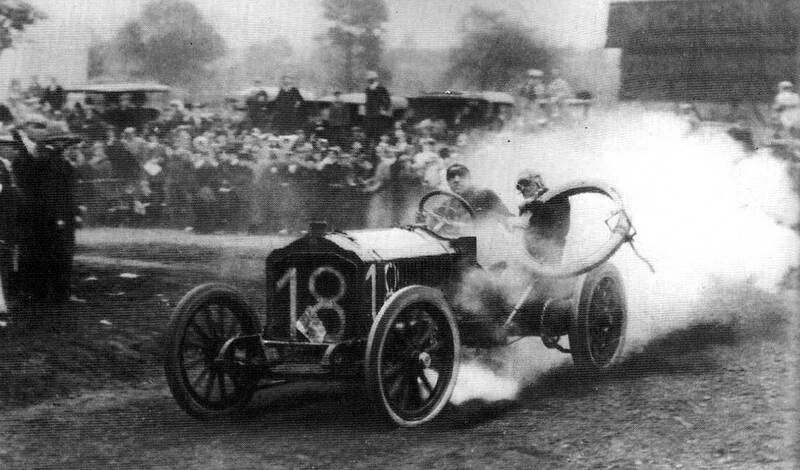 The 1909 winner Harry Grant drove another steady race, taking advantage of the accidents and mechanical failures of other competitors. The crowd was dangerously close to the cars at the turn at Old Country Road and Ellison Avenue in Westbury. 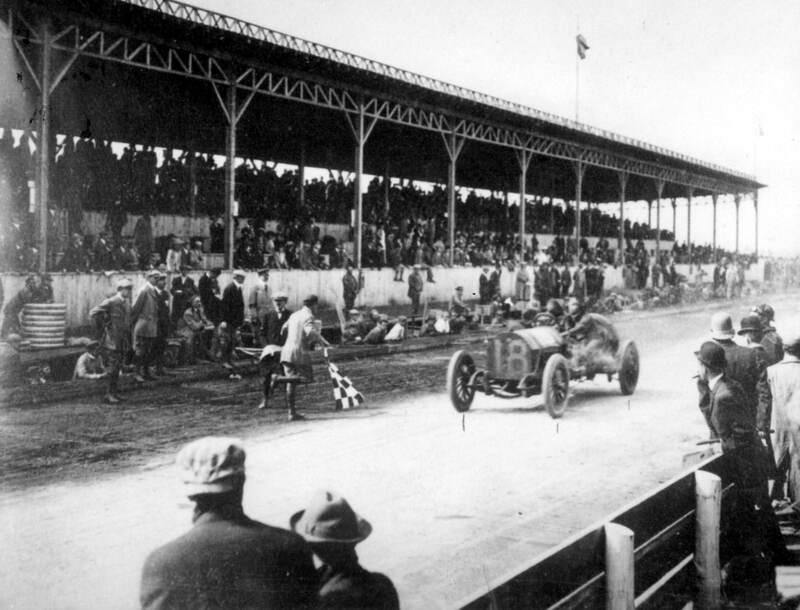 Starter Fred Wagner waved the checkered flag as #18 ALCO stormed by to win the 1910 race. The final lap was full of the drama of a classic Vanderbilt Cup Race. 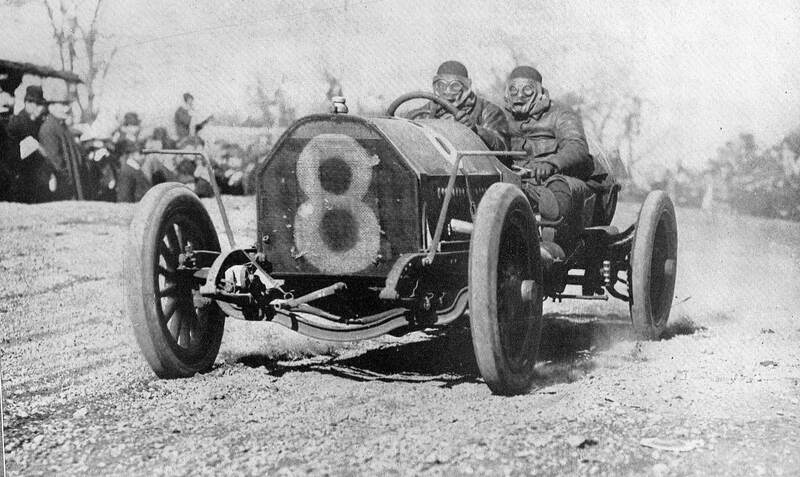 Grant struggled to hold off 21-year-old Joe Dawson, also known as “The Indiana Whirlwind.” After Louis Chevrolet’s car retired, Dawson had the fastest car, pulling out a lead of more than four minutes on Grant by lap 17. But the poor judgment of a spectator who was hit by Dawson on the backstretch during the next lap determined the outcome of the race. Dawson stopped to check on the man, who suffered two broken legs, and then had to pit to repair his gas line. He spent the remaining four laps steadily gaining on Grant only to come up 25 seconds short.